BOOMING NEIGHBOHOOD!!! Zoned CMX2, this building was built from the ground up around 20 years ago. Total building improvement is over 6500 sqf ft and is 3 stories. The ground level address, 1939 N. 5th Street,is a restaurant with new (approx 8 years old) stainless steel kitchen complete with all equipment (ovens, refrigeration, tables , chairs, etc) needed to operate an eat-in restaurant or take-out business. Ground level is currently unoccupied, but rentable at est. $3000/mo. The 2nd and 3rd levels are assigned the address 1941 N. 5th Street. The 2nd floor consists of 2 separate apartment units, with 2 & 3 BRs, kitchen, bath, and large combined LR and DR. 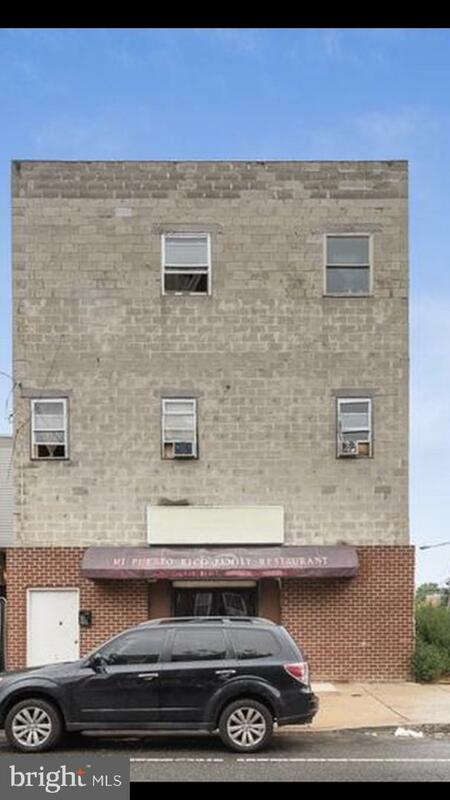 The 3rd level is a king-sized 3 BR unit of approximately 2000 sqft currently occupied by the owner. 2nd and 3rd Floor apts rentable at estimated $1100-1700/mo unit. Plans and setup of apartments can be change for future owners if needed. Permits for the business were in place. Great opportunity for a Philadelphia restaurant with residential rental income! This block is growing at a rapid pace.